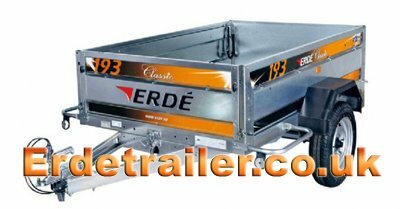 The Erde 193 trailer is a very robust trailer with a 6ft by 4ft floor space. It has an A-frame drawbar and reinforced side panels. To buy an Erde 193 please Click here. To buy Accessories for an Erde 193 please Click here.